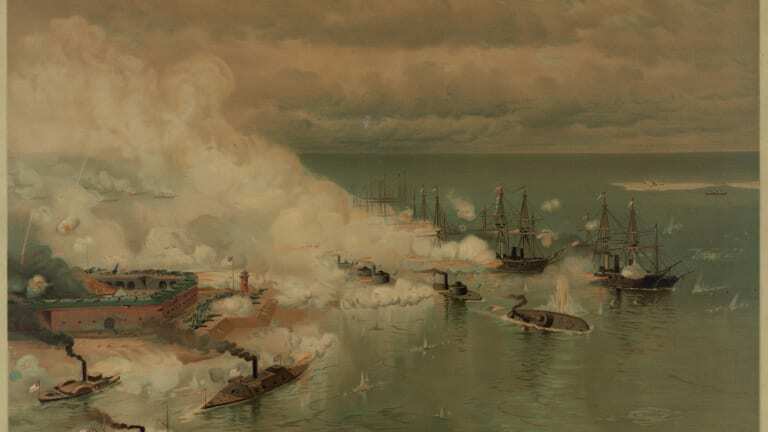 On August 5, 1864, at the Battle of Mobile Bay during the American Civil War (1861-65), Union Admiral David Farragut (1801-70) led his flotilla through the Confederate defenses at Mobile, Alabama, to seal one of the last major Southern ports. 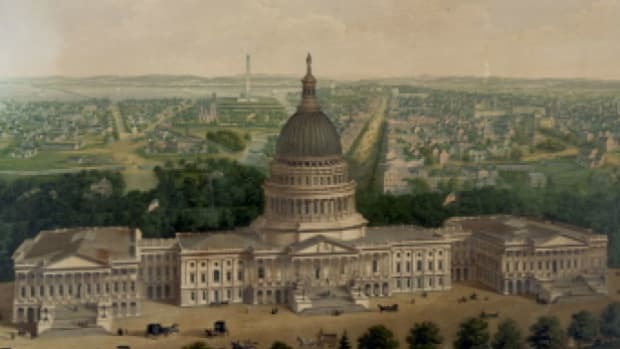 The fall of Mobile Bay was a major blow to the Confederacy, and the victory was the first in a series of Yankee successes that helped secure the re-election of President Abraham Lincoln (1809-65) later that year. 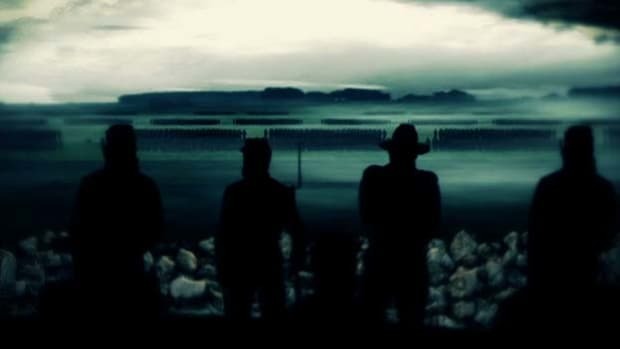 Mobile became the major Confederate port on the Gulf of Mexico after the fall of New Orleans, Louisiana, in April 1862. With blockade runners carrying critical supplies from Havana, Cuba, into Mobile, Union General Ulysses S. Grant (1822-85) made the capture of the port a top priority after assuming command of all U.S. forces in early 1864. Did you know? 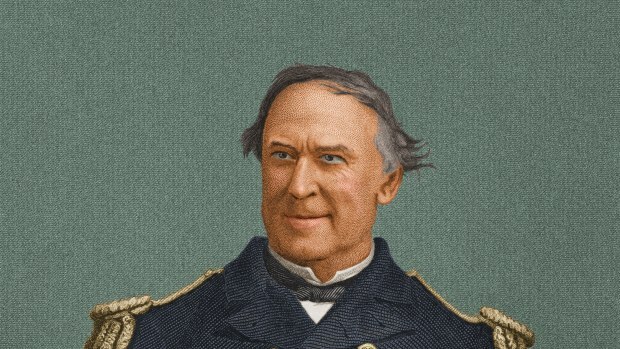 The Battle of Mobile Bay was the capstone in the military career of David Farragut, who joined the U.S. Navy at age 9. Opposing Admiral David Farragut’s force of 18 warships was a Confederate squadron of only four ships;however, it included the CSS Tennessee, said to be the most powerful ironclad afloat. Farragut also had to contend with two powerful Confederate batteries inside of forts Morgan and Gaines. 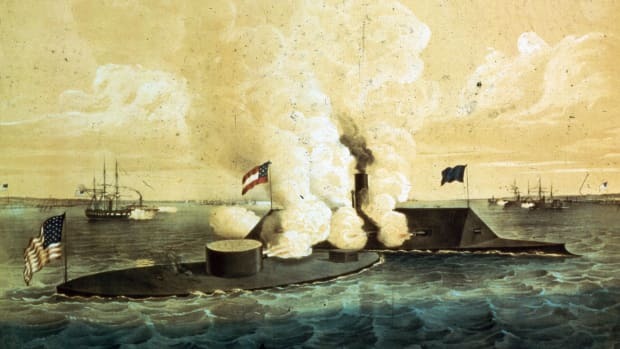 On the morning of August 5, Farragut’s force steamed into the mouth of Mobile Bay in two columns led by four ironclads and met with devastating fire that immediately sank one ofits iron-hulled, single-turret monitors, the USS Tecumseh. 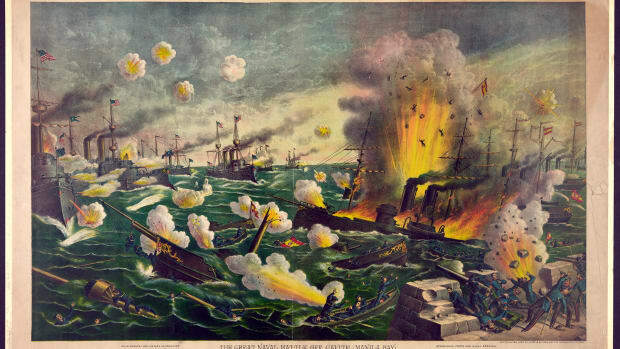 The rest of the fleet fell into confusion but Farragut allegedly rallied them with the words: “Damn the torpedoes. Full speed ahead!” Although the authenticity of the quote has been questioned, it nevertheless became one of the most famous in U.S. military history. 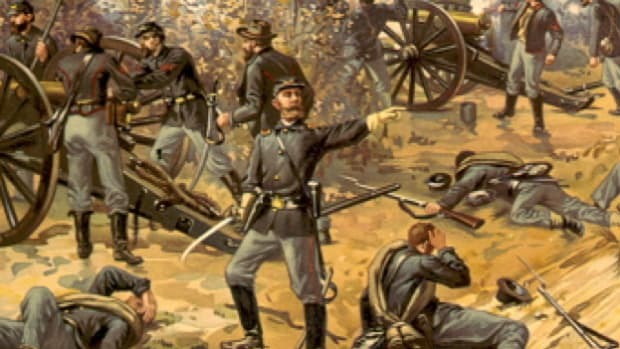 The Yankee fleet quickly knocked out the smaller Confederate ships, but the Tennessee fought a valiant battle against overwhelming odds before it sustained heavy damage and surrendered. The Union laid siege to forts Morgan and Gaines, and both were captured within several weeks. Confederate forces remained in control of the city of Mobile, but the port was no longer available to blockade runners. The Battle of Mobile Bay lifted the morale of the North. 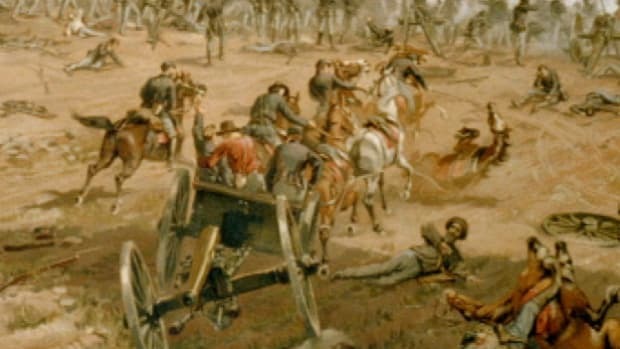 With Grant stalled at Petersburg, Virginia, and General William T. Sherman (1820-91) unable to capture Atlanta, Georgia, the capture of the bay became the first in a series of Union victories that stretched to the fall presidential election, in which the incumbent, Abraham Lincoln, defeated Democratic challenger George McClellan (1826-85), a former Union general.